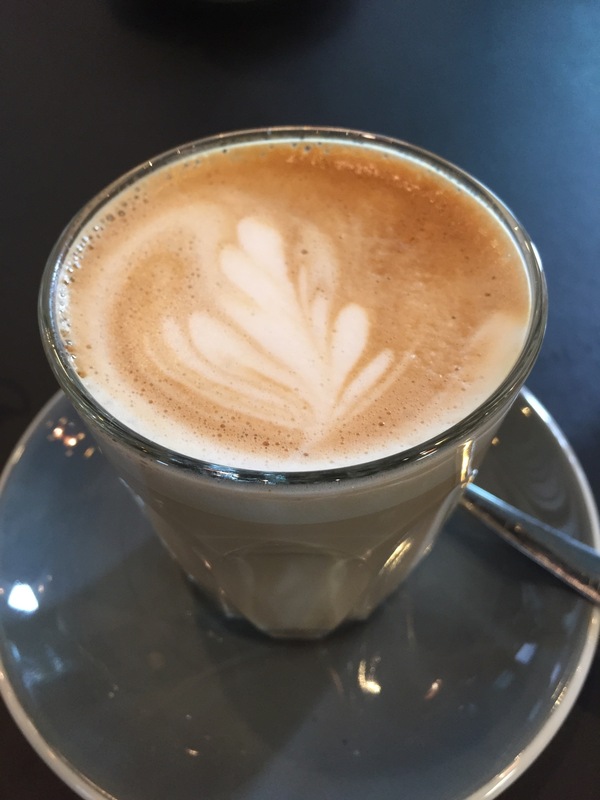 West Leederville is booming of late and just up from the newly opened Hylin, you’ll find Aliment. 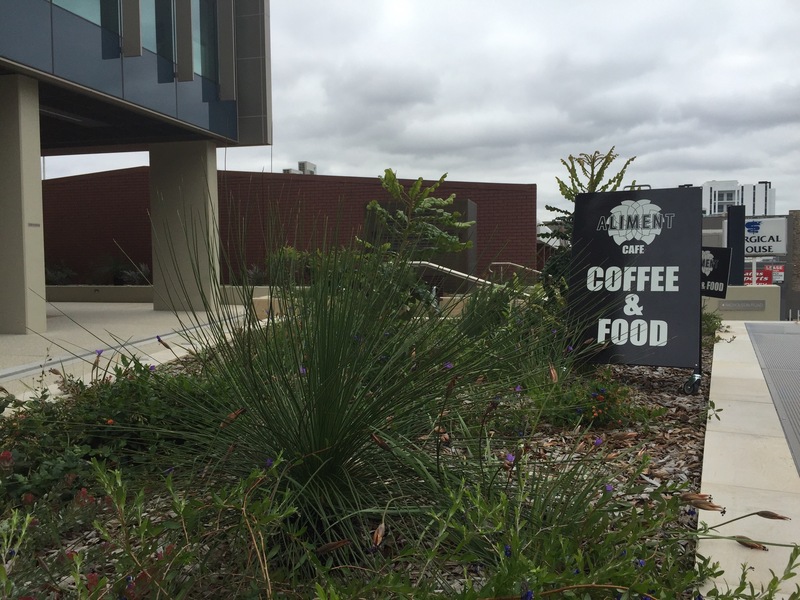 The cafe is large and open at the bottom of an equally new and impressive building on Railway Parade. 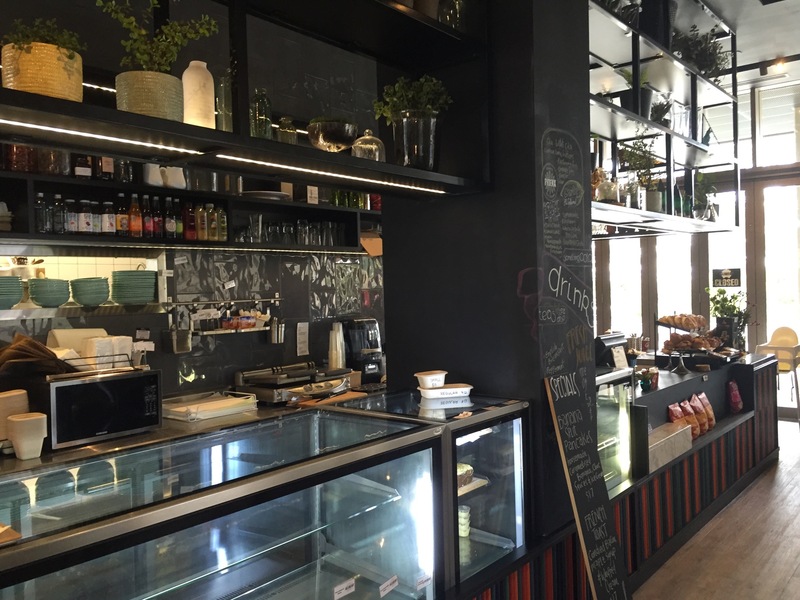 The cafe is very long, with the bar taking pride of place, and the very first thing you’ll see when you walk in. The cafe is almost like a giant glazed cube, very modern, just like the building it is situated in. There’s the normal menu and a specials board, we were pretty excited by the specials and so went with two selections from them. Our coffees were decent, creamy with a nice flavour but nothing special unfortunately. If you’re looking for a great coffee try Hylin further up! 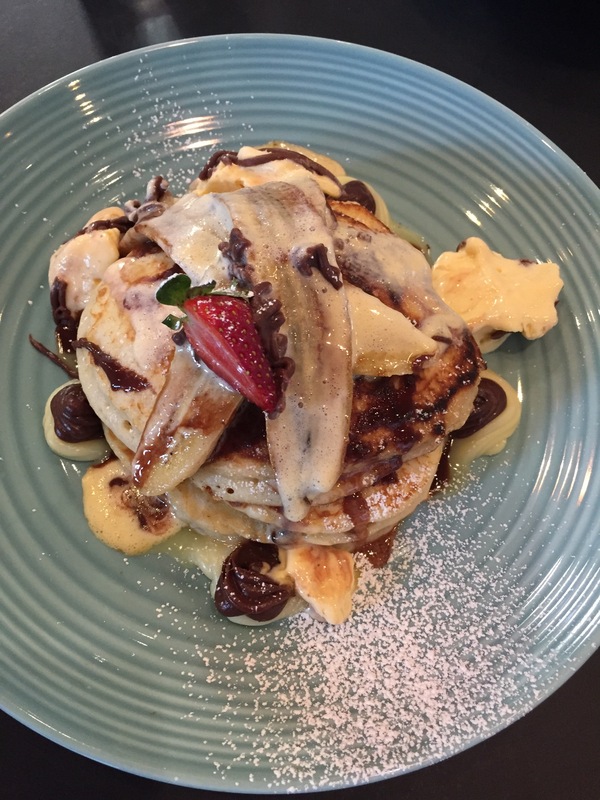 The first our special was the pancakes served with banana, chocolate, ice cream and a custard. It seems they were going for a banana split feel, but it really needed nuts to tie it all together. It was a pleasant meal but the presentation and the individual elements had room for improvement. The real winner was the french toast with maple candied bacon. The bacon was delicious, sweet and crisp and delicious. 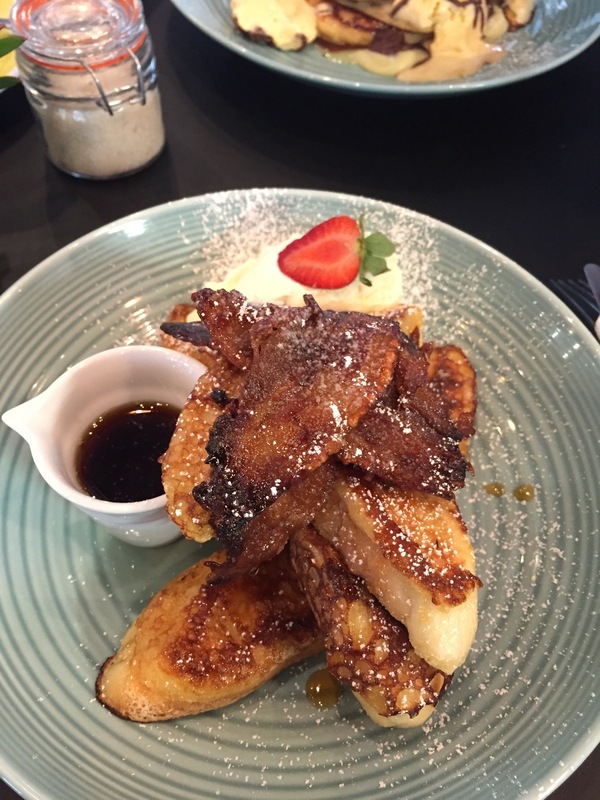 The french toast had been done well, soft in he centre, hot with a subtle sweetness. There was also cream, to make it an even more over the top dish, and maple syrup which we didn’t worry about using as it was both sweet enough and moist enough without it. 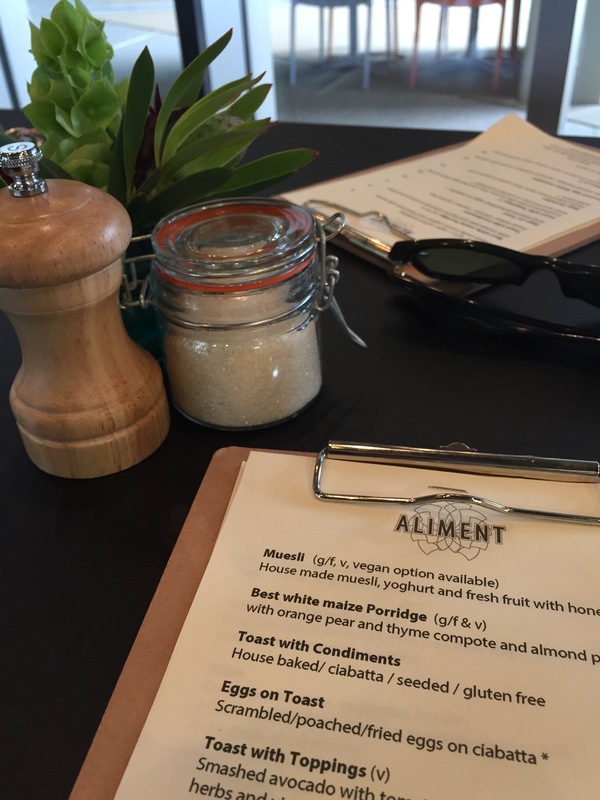 Aliment are a pleasant stop, away from the hustle and bustle of the CBD, though are still finding their feet right now. We look forward to seeing where they go from here. Next PostThe Lion and the Jaguar: Welcome to the Jungle!